This page describes the catering arrangements for Autscape and where you can get food and drink outside of the venue. Should you have any further questions please ask them on the autscape chat list or privately email the venue co-ordinator. The menu is below. If you select any of the photos you will see a larger version of that photo. There will be three meals per day provided for people staying on-site. If you attend for days only or are staying off-site lunch and supper will be provided. 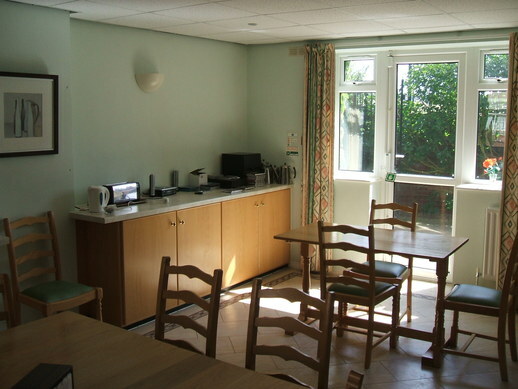 While self catering is only available for those who need it for medical purposes, there are tea/coffee making facilities, fridges and microwaves for all participants to use in the kitchenettes near the bedrooms. In the morning and afternoon there will be breaks between the activities where you can get a hot drink and biscuits. Most special diets (e.g. nuts, seafood, dairy and gluten free diets as well as vegetarian, vegan, and diabetic diets) can be catered for but we must know about your special diet in advance, as the venue need the information in good time to be able to plan their menus. Please note, however, if you require a particularly restrictive or complicated diet, you may need to cater for yourself, for which a limited facility is available. 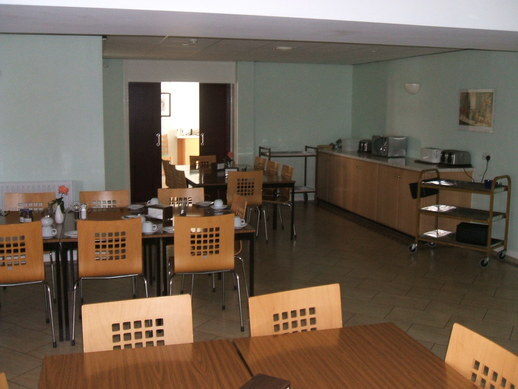 Meals are served cafeteria-style, with a queue and servers, in a communal dining hall, but once you have your meal you may take it to your room, out to the garden, or into the dining room annexe if you find a large full room difficult. The venue ask that we are punctual for meals. Once you have your meal you are welcome to stay in the dining hall for as long as you need. All drinking water goes through either a Britta filter or urn. 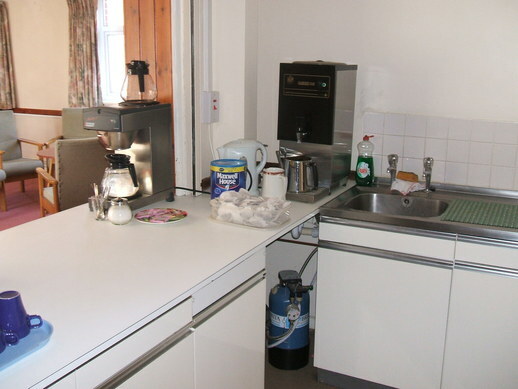 The kitchenettes mentioned in the accommodation and the conference sections will contain tea and coffee and biscuits. These will be replenished on a daily basis. As described in the outdoor section there are convenience stores and takeaways within walking distance of the venue.